The body of a missing Florida woman, who is believed to have died after she was bitten by an alligator, has been found, authorities said. 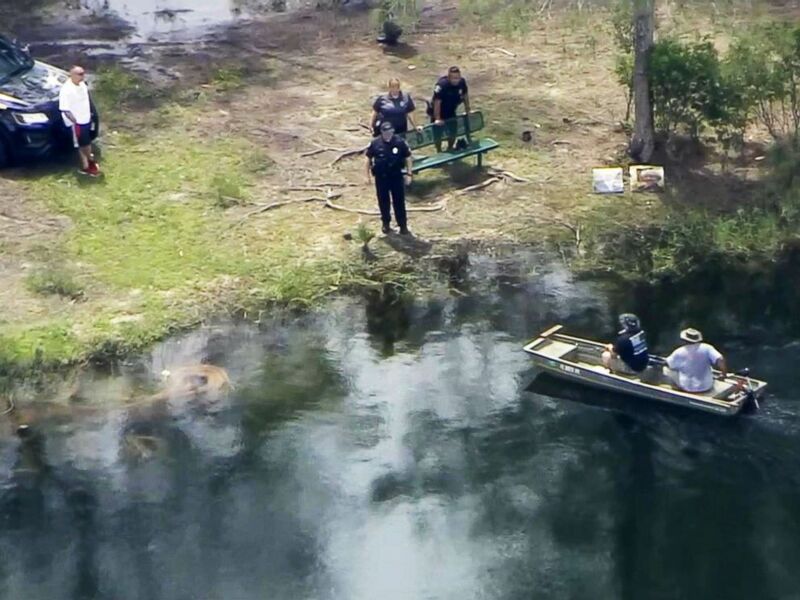 Search teams located the body of Shizuka Matsuki, 47, Friday night in a lake at the Silver Lakes Rotary Nature Park in Davie, a town 25 miles north of Miami, according to the Florida Fish and Wildlife Conservation Commission (FWC). Signage warning of possible alligators in any area is not required by Florida law, Klepper said. Relatives of Matsuki could not be reached for comment Saturday. Police in Davie, Fla., are searching for a missing woman who may have been attacked by an alligator. Matsuki, who lived in the nearby city of Plantation, was seen by a witness walking two dogs near the lake at the park on Friday before she suddenly vanished. The dogs were found by themselves, and one of them was injured, according to the FWC. 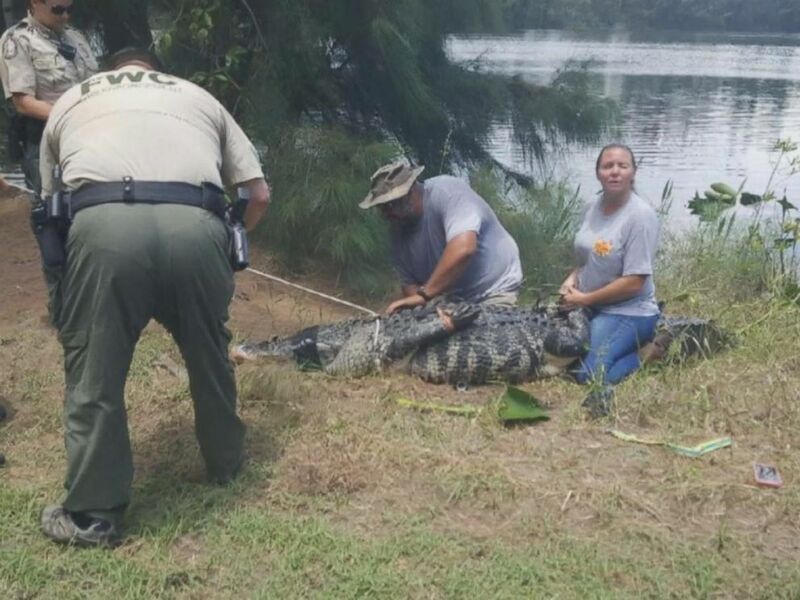 A 12-foot, 6-inch alligator was later removed from the lake by a trapper hired by the FWC. An initial necropsy on the massive reptile indicated it had bitten the woman, the FWC said. Residents in the area told ABC station WPLG that an alligator is known to roam the park’s lake. One woman said she let her poodle out into the backyard last winter and the dog never returned. Florida is teeming with more than 1 million gators, but only a dozen or so bites are recorded each year, according to statistics from the FWC. Fatal alligator attacks are rare. ABC News’ Julia Jacobo contributed to this report.